An overwhelming majority of Canadians believes psychological suffering on its own should never be grounds for granting a doctor-assisted death. 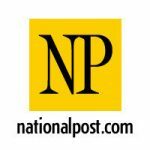 While Canadians seem particularly appalled by the idea of allowing assisted suicide for “mature minors” with psychological suffering, a majority supports lethal prescriptions for terminally ill children and youth, a newly released poll suggests. The Angus Reid Institute survey of 1,517 Canadian adults, released in advance to the National Post, “goes beyond asking, should we, to, how should we, and where should the limits lie,” said Shachi Kurl, executive director of the Angus Reid Institute. The results suggest Canadians are not in line with key recommendations proffered in a parliamentary report calling for broad access to assisted death. The Liberal-dominated panel’s report, released in February, called for extending assisted death to those experiencing psychological, and not just physical, suffering that is “enduring and intolerable.” But 78 per cent of those surveyed in the weeks after its release said “psychological suffering” on its own should not meet criteria for a doctor-hastened death. The opposition was even sharper among those 55 and older. The idea had long been forbidden ground in the assisted-suicide debate in Canada. In its landmark ruling striking down the Criminal Code prohibitions against assisted suicide, the Supreme Court of Canada has opened the door to doctor-hastened death for more than just patients with incurable physical illnesses, she and others said. “It’s kind of neither here nor there what the majority of Canadians think on this subject,” said Udo Schuklenk, a professor of bioethics at Queen’s University in Kingston. “People make light of the suffering that is involved because they don’t appreciate the misery of the quality of life,” he said. Roughly three in five believe Catholic hospitals and faith-run nursing homes with moral objections to assisted suicide “should be able to say no” and instead transfer patients to other facilities to end their lives. Euthanasia and assisted suicide are ethical abominations in the Church’s eyes. Other major faiths, including Islam and Judaism, similarly decry suicide to varying degrees and have voiced opposition to the notion of assisted-death. Bruyère Continuing Care, Ottawa’s biggest palliative-care hospital, has said it will not offer doctor-assisted death to eligible patients, limiting options in that city.